Our FDA approved Electric Muscle Stimulator Belt is for all women seeking to strengthen, define, and tone their abdominal muscles postpartum. 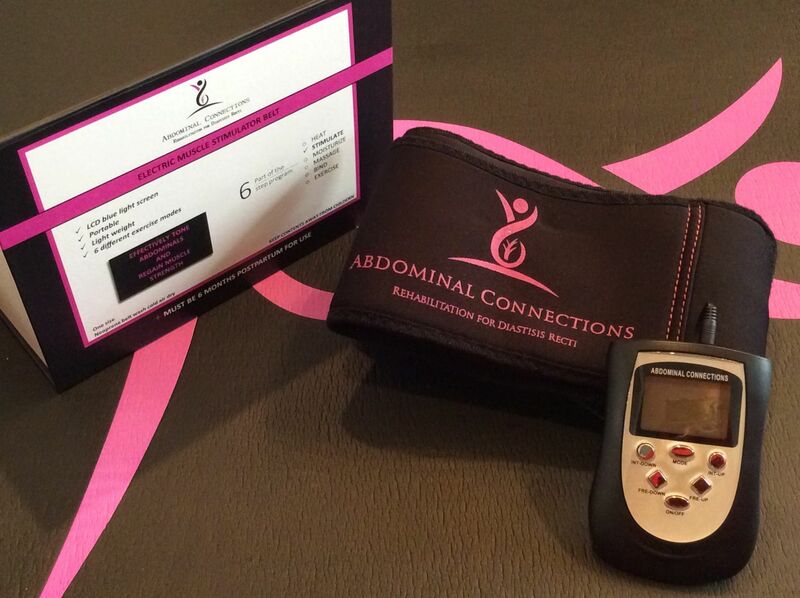 EMS (which is the acronym for electronic muscle stimulator) is an efficient way of treating a diastasis injury. The transmission of electronic pulses creates the effects of passive exercise. Because the injured area is not actually a muscle but rather connective tissue, it does not receive as much blood flow, which is crucial for any healing of damaged tissue. 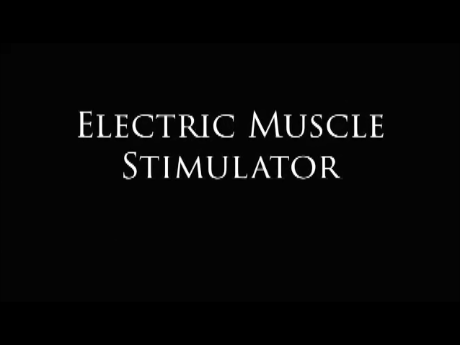 The stimulation, contraction and relaxation cycle created by EMS loosens muscle fibers, increases blood flow and stimulates muscle growth. This is particularly useful for diastasis: because admissible movements in this condition are so limiting, the surrounding supportive muscles become weak and out of shape. The EMS makes it possible to condition the abdominals without getting into compromising positions or making movements that may counteract healing. On areas of numb skin where there is decreased sensation, your EMS should be used with caution because it is likely to be less effective due to nerve damage. It may also lead to skin irritation if currents are set too high, which is a particular worry for diastasis users that may use too high a setting due to their inability to feel pulses in areas of decreased sensation. It is very common to have some numbness with diastasis especially in the beginning staging of the program. Over time, you will regain sensitivity. Please read the full instructions and warnings before using the EMS unit. You must be 6 months postpartum to use the belt. Using it before this time may interfere with the natural healing process after childbirth. Lay your Muscle Stimulator belt on a flat surface. Remove 2 ovals and 1 square adhesive pad from the box. Locate the 3 buttons on your belt and attach the adhesive pads placing the large square pad in the center and 2 oval pads on either side. Remove the connecting wire from the box and place one end in the controller and the other end in the side pocket on the front of your belt. Remove the thin plastic adhesive covers and place them in a safe place so that you will be able to replace them after your session. Lift your belt with the adhesive pads facing you. Bend your knees slightly and draw you abdominal in and back as deep as you can correcting your pelvis at the same time. Place the large square in the center on your stomach making sure the navel is the center of the square. Pull the belt tight across your waist and attach the velcro to fasten. Power on your controller and set the mode and level you would like to use. The belt will time off after 20-30 minutes depending on which mode you chose. We recommend you use your muscle stimulator belt 3-5 times a week as part of the 6 step program. Do not exceed 30 minutes per use. Note Once the belt has been assembled properly and placed on the abdominal area, it is important to set the impulses accurately. Our goal is to stimulate the muscles by allowing for more blood and oxygen circulation. You should only increase the intensity to the point of tingling. Avoid causing hard contractions. This is NOT an abdominal workout. PLEASE READ THE FOLLOWING WARNINGS CAREFULLY BEFORE USE. You must be 6 months postpartum to use the EMS unit. Do not use if you have been diagnosed with an Abdominal Hernia. DO NOT USE if you have an artificial Cardiac Pacemaker (or other indwelling stimulator, implant­able Cardioverter Defibrillators (ICDs), including across its leads due to risk of interference and failure of the implanted device. Serious accidents have been recorded in cases when this principle was not observed. ALWAYS check with your Doctor, Midwife, or attending Physician before attempting to use EMS therapy, although it is safe for home use. Avoid movements or activities that require bending, lifting or twisting the spine. Do not exceed 30min or you risk exhausting the muscles. Do not use more than 4 times a day, once a day is recommended. Do not touch the pads direcly when the EMS until is turned on. by a licensed physician. Please see your physician for diagnosis and treatment of symptoms or medical conditions.